﻿ Opening with a track seemingly condoning adultery, the debut EP from Best Ex (formerly known as Candy Hearts) is hiding some dark stuff under its sugary exterior. The lyrical topics on the EP remain tongue-in-cheek throughout, with the track Lonely Life including the lyrics “My cat is my best friend, but she doesn’t give a damn about me” that are nothing if not relatable and a little eye-roll worthy. The six-track release is the first listen of what newly unveiled Best Ex sound like. Swapping out bratty guitars for corrosive synth tones, Mariel Loveland’s cloying vocals wrap the project up into a sweet package that is distinct if not always enjoyable. At times swapping the pop-punk guitars for synths is grating, highlighting some of the weaknesses of the band in the vocal delivery and tipping the tracks a little too on the cheesy side of things, but it’s a fun and easy listen overall. The track where Best Ex shine most on this EP is See You Again, a track where the guitar-based past of Candy Hearts is called back to the most. It’s sweet and charming, as Mariel asks “Will you remember me?” with earnestness by the bucketload. It’s movie-scene romance stuff, painting a vivid picture of a long-distance romance and the heartache that comes with it. Ukulele ditty Jellyfish closes out the EP, and the last minute injection of something slightly different is refreshing, making an instant replay of the release natural. It’s easy to see why the band changed their name for this release: they’ve retained the whimsical lyrics they’ve become known for but painted them onto a whole new musical landscape. 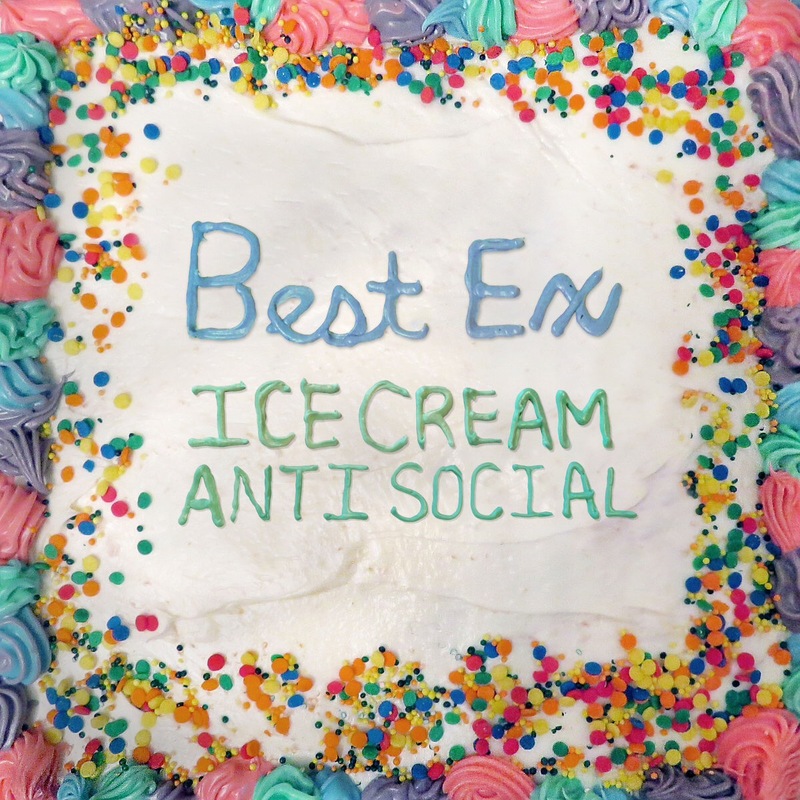 ‘Ice Cream Anti Social’ by Best Ex is out now on Alcopop! Records.